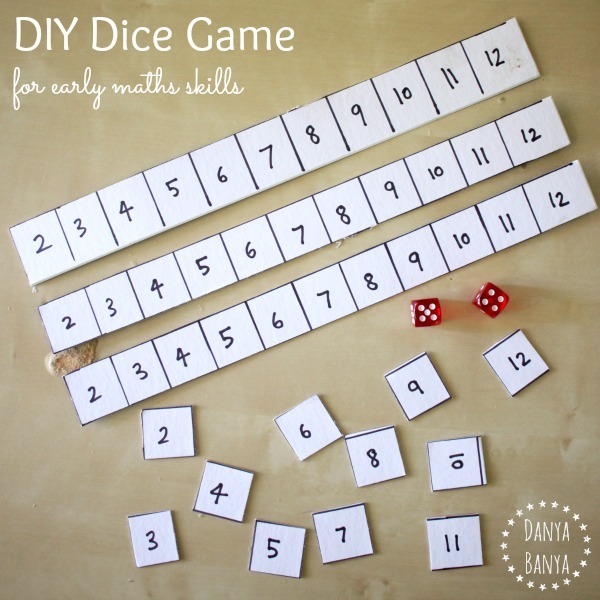 Fun DIY Dice Games that help kids learn early maths skills like counting, counting on, number recognition and more. 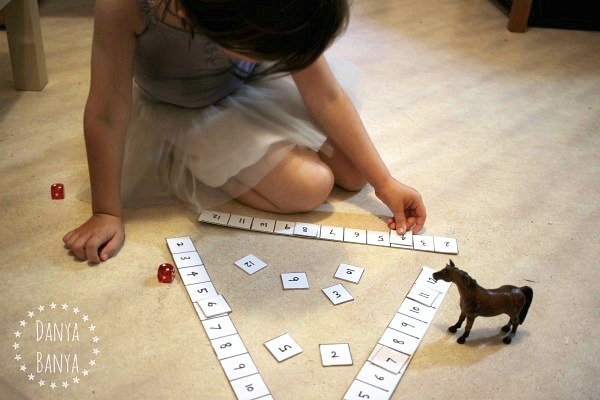 We’ve been on the lookout for playful ways to help JJ with her early maths skills. 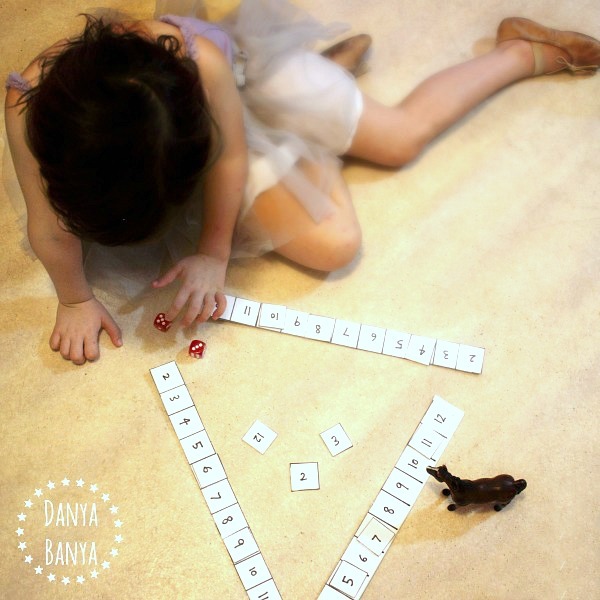 (Regular Danya Banya readers might remember when we played outside with numbers and chalk, jumped for numbers on the trampoline, and when we made our photo and number puzzle – all working on numeral recognition). Mr Banya came up with today’s number game, so I can’t take the credit, but I thought I would share it with you just the same. 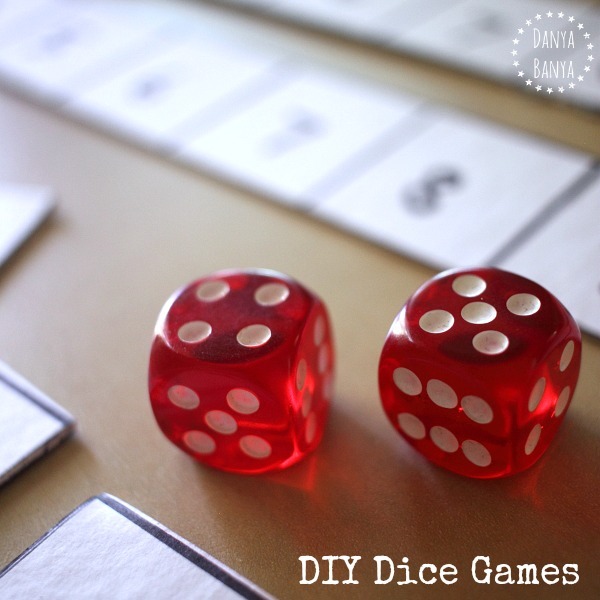 I’ve also included a huge list of awesome DIY dice games for young kids at the end of this post – lots of ideas to try! Make two or more ‘number boards’ with the numbers 2-12, and at least one set of corresponding 2-12 number pieces. You’ll also need two regular dice. To make our number boards and number pieces, Mr Banya used a piece of thick white cardboard, a permanent marker and a ruler. He ruled out a grid, and drew the numbers 2-12 in four rows, cutting the first three horizontally to make three boards, and the last row into individual number pieces. You will need: a 2-12 number board per player; a set of 2-12 number pieces; 2 dice. Object of the game: to collect the most number pieces by the end of the game. The youngest player goes first. She rolls the dice and selects the number from the pieces in the centre. She places the number piece over the corresponding number on her board. The next player then rolls the dice and selects a number as above. If the number rolled is no longer in the centre however, then she can take this number from another players board and place it on her own. The play continues in a clockwise direction, with each player rolling and taking a number piece – either from the centre, or from another players board – until there are no more pieces left in the centre. The player who has the most number pieces on their board wins! And then you play again! Variation: If you want to add to the number of players, make additional boards, and also an additional set of number pieces. While playing, if there are no more corresponding number pieces in the middle, players get to ‘choose’ which player to take the corresponding number piece from. This game might seem quite simple, and it is, but it still works on quite a few early maths skills. Numeral recognition – understanding that a numeral represents a number, and being able to recognise that numeral. One-to-One Correspondence – count a group of dots or along a number line, and understanding that each dot or number is counted once. This game allowed her to practise her numeral recognition in a non-confronting way, work on a few different skills at the same time, and all whilst having fun. To give you an example, if JJ rolls a 6 and a 3, she counts the dots on the dice to 9, but can’t yet recognise the corresponding numeral 9 from the number pieces in the centre. So she will ‘count on’ (starting from 2) using her board as a reference, until she reaches 9. She can then use the number on her board as a visual reference to figure out which number piece to take. Tricky! Subitising (estimating a quantity) is a great math skill for kindergarteners, and dice are perfect for learning to subitise to 6. When kids roll one die, they can learn to recognise how many dots there are by the pattern, without having to count individual dots. Or if they roll two dice, they can subitise to work out the first number, and then use that number as the starting point to ‘count on’ from. Both help with speed, accuracy and confidence with board games and maths in general. JJ is still working all of this out – currently she can subitise to 4, but still counts dots if she rolls a 5 or a 6. I’ve been looking up some fun kindergarten dice games to play with JJ, and also some introductory toddler or preschool dice games so that we can include her 2.5 year old younger sister, Bee. I’ve found so many awesome ones, that I just had to share them with you. Happy rolling! 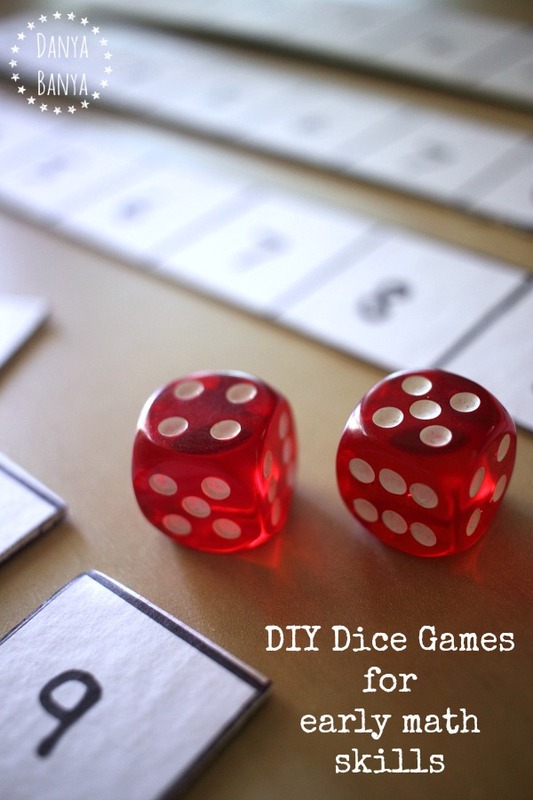 Dice play can be as simple as counting out small manipulatives – change up the manipulative, and you have a whole new game. Ha! Buggy and Buggy has some great ideas, including making a simple die for beginners. Plant by number! Inspire a budding florist with this simple spring dice game by Fun A Day. 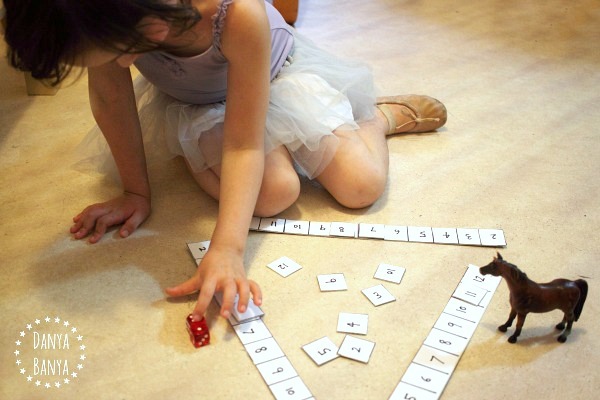 Another fun spring toddler dice game: sing along to “Mary, Mary, quite contrary. How does your garden grow?” and roll and build a flower, with this free printable flower download from Best Toys 4 Toddlers. Or similarly this roll and build a snowman from Toddler Approved would be great for wintertime. Combine dice with animal figurines to create some playful counting, addition and subtraction opportunities. 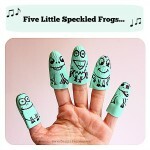 Rainy Day Mum has a really cute count and add farm game, and another speckled frogs counting game for you to try. 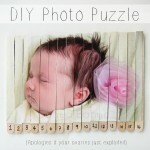 I just adore this Apple Tree Addition Game from Mama Papa Bubba. Simple Fun for Kids’ turns a preschool fine motor activity into a playful maths game, just by incorporating a die. And doesn’t it make for a pretty autumn window display? You could adapt to for the other seasons too. Kitchen Floor Crafts’ Sum, Say & Spray math game is the sort of game that we would play in our backyard. 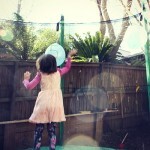 I love that it takes maths play outdoors in a fun way. I might just borrow this one for an easy 5 minute after school activity. Make a simple Lego addition tray like this one from Mama Papa Bubba. Simple board games are great for turn taking, counting and subitising too, like this cute DIY Family Rainbow Game from Rainy Day Mum. 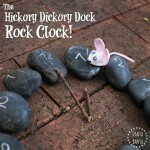 Combining numeracy with literacy, Kitchen Floor Crafts has a fun addition and subtraction dice game based on the children’s book Pete the Cat and his Four Groovy Buttons. Or read Bugs are Insects, and use dice to design your own play dough ladybird like Life over C’s did for Rainy Day Mum. 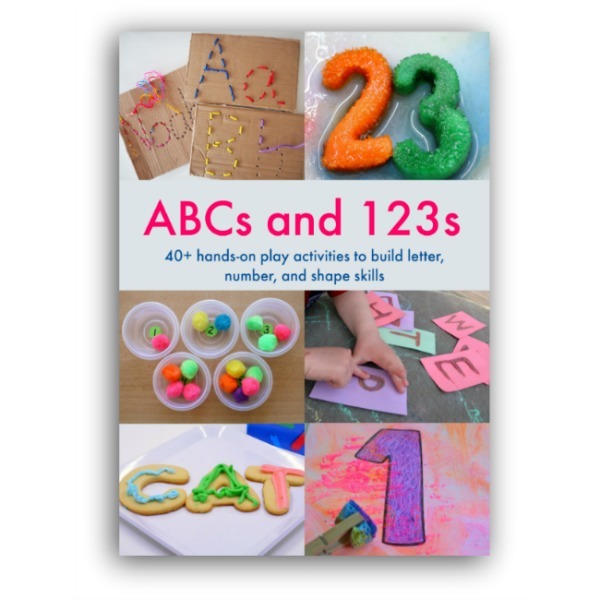 Speaking of learning through play, you might also be interested in a new ebook called ABCs and 123s. It’s a collaborative ebook with literacy, numeracy and geometry activities from over 40 like-minded kid bloggers, who all believe that kids learn best through play. It’s a great resource for parents (grandparents, carers or teachers) who want to introduce letters, numbers and shapes to their kids in a fun, hands-on and playful way. There’s over 40 tried and tested ideas, with materials lists, step-by-step instructions, and full colour photographs. You can read more about it, and see page examples here. 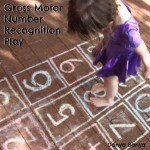 Follow Danya Banya | Go Science Girls’s board Playful Maths for Kids on Pinterest. Follow Danya Banya | Go Science Girls’s board Danya Banya on Pinterest. We may have to find a dice printable and make some as we actually don't have any! Thanks, hope she likes it too! 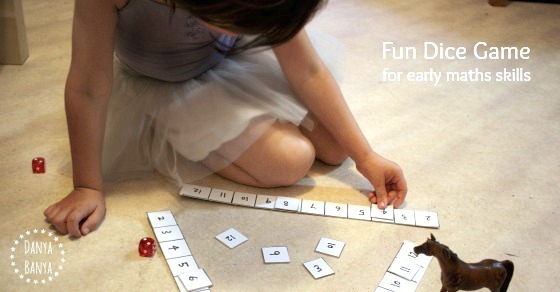 I love that game which cause children to learn different kinds of things like mathematics, pronunciation and many more. Wow Lorraine, that's pretty special! I love vintage stuff like that. 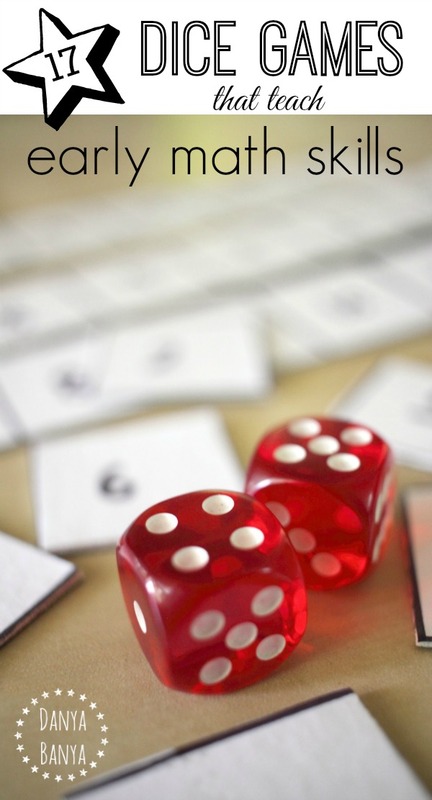 Dice game is very interesting and it is depends on the luck and kids are really like this game. I would like permission to post a link to this information, I make Jumbo Wooden Dice and the Fayette County Board of Education just bought a set for every Elementary school I think your ideas of math games with dice go right along with what we are trying to accomplish. Computers don’t solve everything. You have some great ideas here! Thanks for your message, I’m glad you like my post! And I agree, physical play has an important role. Jumbo Dice sound fun! Yes, I’m happy to give permission for you to share a link to my post. Thank you!